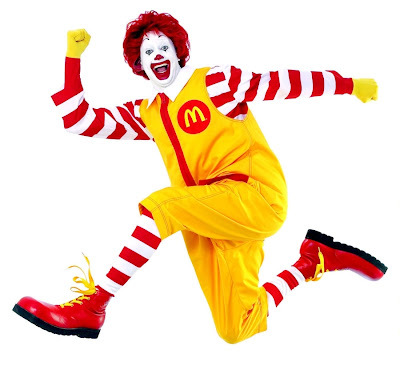 This is a fear that mostly attacks children, it is the fear of clowns. Most of it's victims are children, but there are some adults and teenagers that have this fear as well. The fear mostly stems from the fact that clowns are "hidden" behind their face paint. I was never afraid of clowns, I'm just a tad uncomfortable around them. Just seems a bit awkward to me to talk to someone I cannot relate to, and I cannot relate to clowns. I don't know why. Seeings I've made a clown of myself several times! But people who suffer from Coulrophobia, are irrationally afraid of clowns because they cannot see their facial features under the paint. Most clowns though are quite nice, and they enjoy making people laugh. That's their job. Then there is also the image of the "evil clown". Take the Joker on Batman, for example. He's made up to look like a clown, though without the big red nose and oversized shoes. He's enough though to terrify anyone, even those not afraid of clowns! He shoots people in the movies and then laughs about it. But that's who his character is. But for some reason, we all love him. The Joker is always what keeps Batman fans returning to the theaters everytime he appears in a movie with Batman. 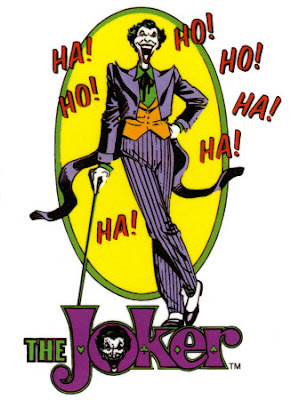 Perhaps we all love the Joker for the same reason most other people love large carnivorous animals. Because he scares and fascinates us. Stephen King also apparently contributed to the rise in Coulrophobia among children. In 1990, his novel titled "It", was made into a movie, and it was a movie about a demonic clown that murdered children. And this movie was just one of several similar movies depicting clowns as evil beings. Small wonder today's kids are more afraid of clowns than they used to be. Though today's kids don't seem to be afraid of anything else. Perhaps if clowns were once again portrayed in the old fashioned, innocent manner they always were, there would be less reason for children to fear them. I'll tell you though I am much more afraid of anime-style drawings than I am of clowns!! What people go through that suffer from Coulrophobia is very well defined in this short film of a grown woman, who has a family of her own, and cannot take her kids to the circus because of her own fear of clowns. Here's some images of innocent clowns so not to pose a threat to those suffering from this problem. 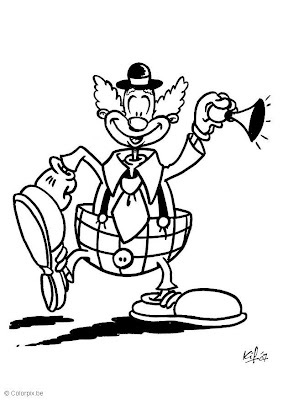 A clown with all the coloring removed. A popular icon from my childhood! A false percula clown fish. OK, not really an "innocent" clown, but a familiar one nonetheless. I have never been afraid of clowns. I just find them to be a little strange, socially. I feel sorry for that woman in the video. I could imagine how she would react if she saw the Joker. 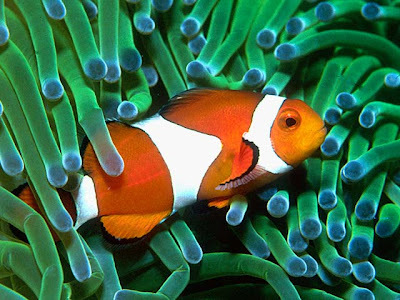 The clownfish idea is cute.